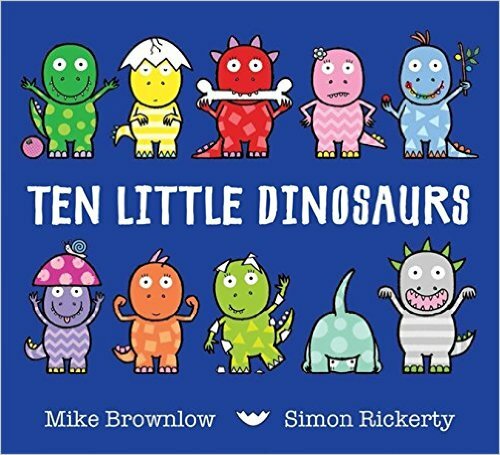 Ten little dinosaurs set off in search of adventure. But what will the ten little dinosaurs do when then meet a grumpy triceratops? And a stomping diplodocus? And a HUNGRY t-rex? Meet all your favourite dinosaurs in this romping prehistoric adventure. With lots of things to spot and count on every page, this noisy rhyming story from the creators of the bestselling Ten Little Pirates is perfect for sharing again and again.